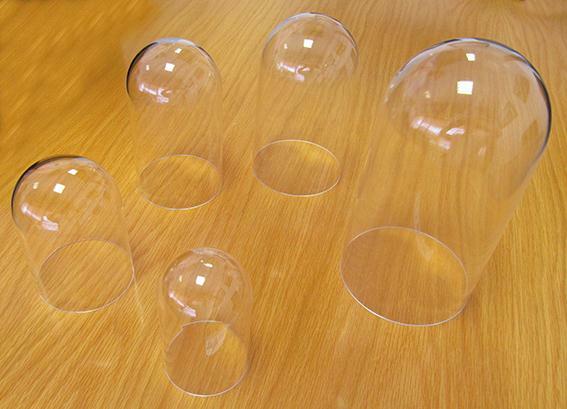 Clear acrylic ‘flattened’ domes from 9.5mm diameter (£0.60) to 101.6mm (£8.70), wall thickness c. 3mm. 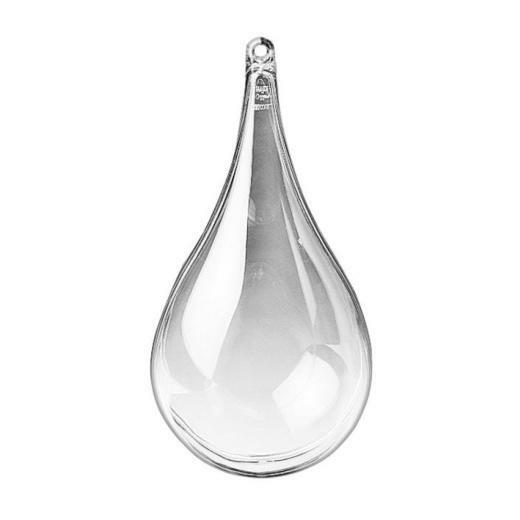 Clear acrylic hemispheres from 9.5mm (£0.43) to 152mm (£8.62) with sizes roughly every 6mm in between. 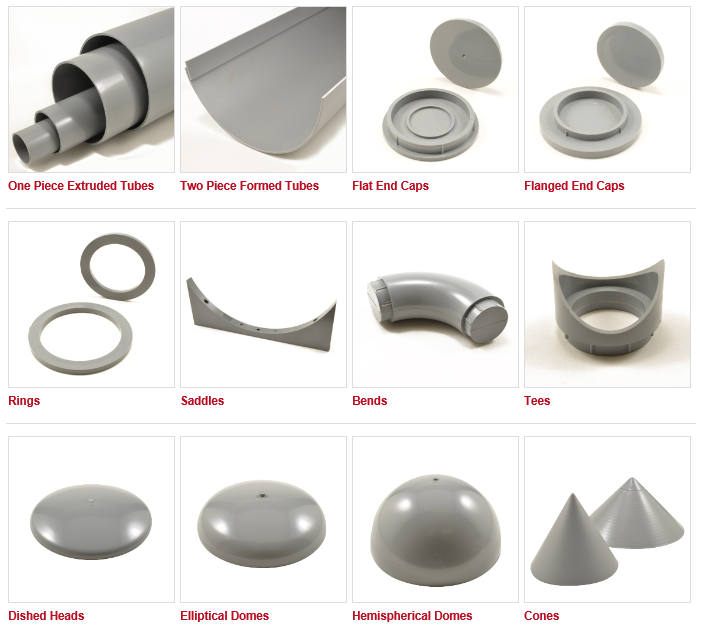 Same size range and rough price for ‘flattened’ or elliptical domes. 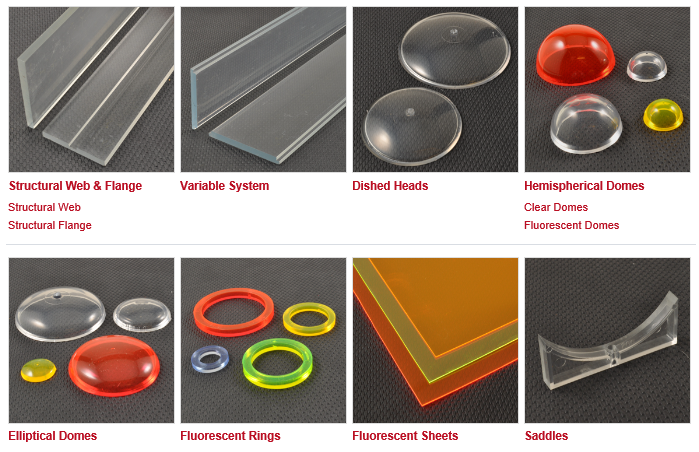 Clear acrylic domes from 100mm to (every 50mm) 800mm. Price e.g. 100mm £15.00 plus £10 P&P; 800mm £80.00 plus P&P on application. 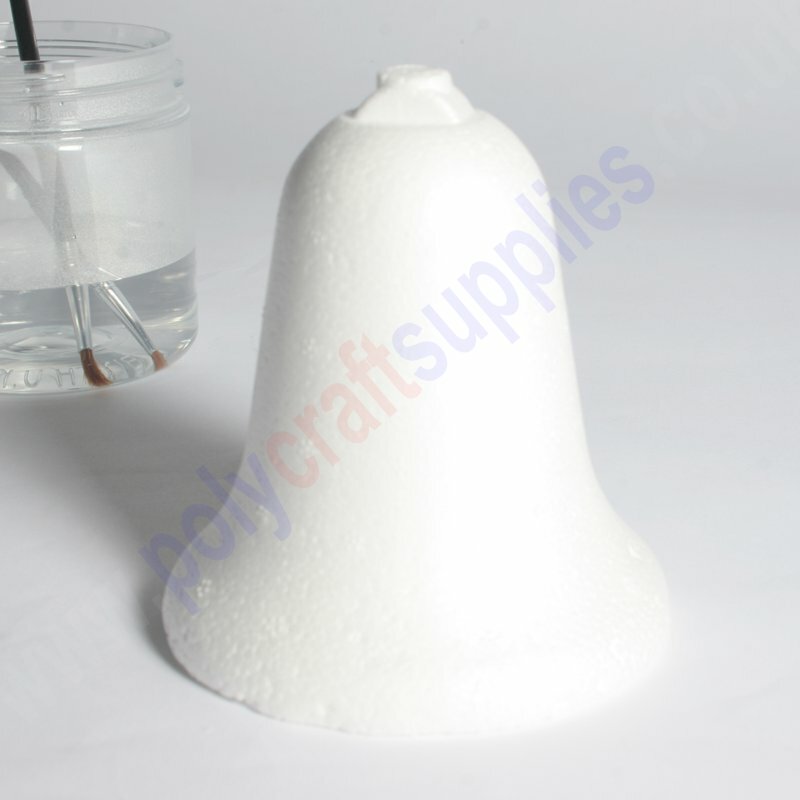 Larger domes available up to 1800mm diameter. Wall thickness for smaller c. 2-3mm. Next day delivery. 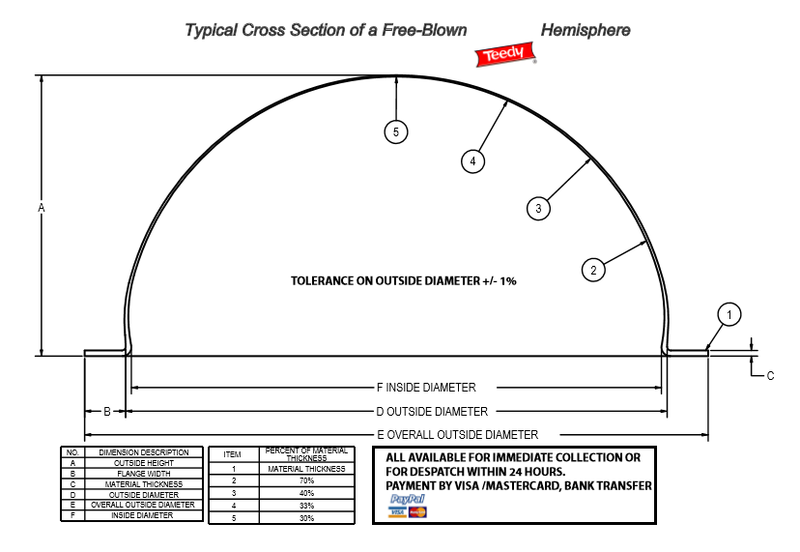 The domes have flange included (see diagram below) or removed at a small cost. Very small clear plastic ones do exist .. for displaying gemstones! 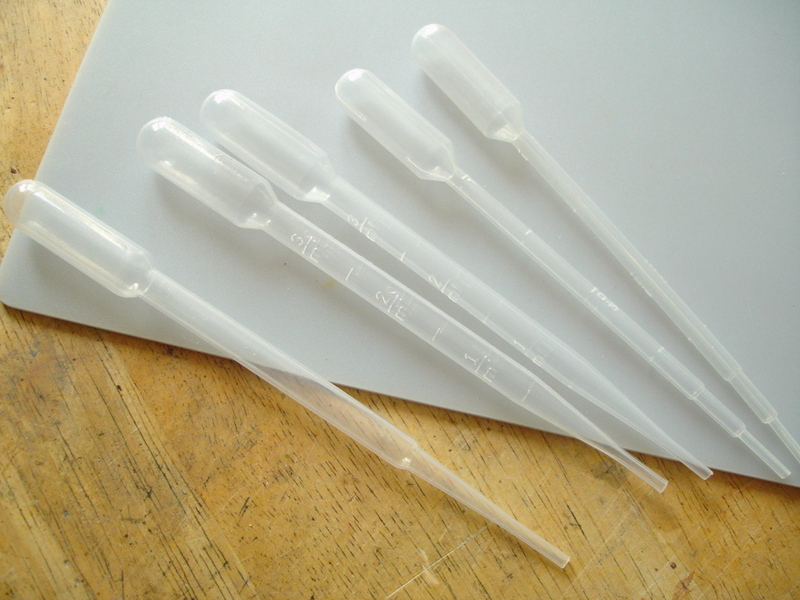 For a thimble-sized alternative the ends of plastic test tubes could work, but cutting them down takes practise as the plastic can be brittle. The best way is to carefully saw with a junior hacksaw then sand the end flat. 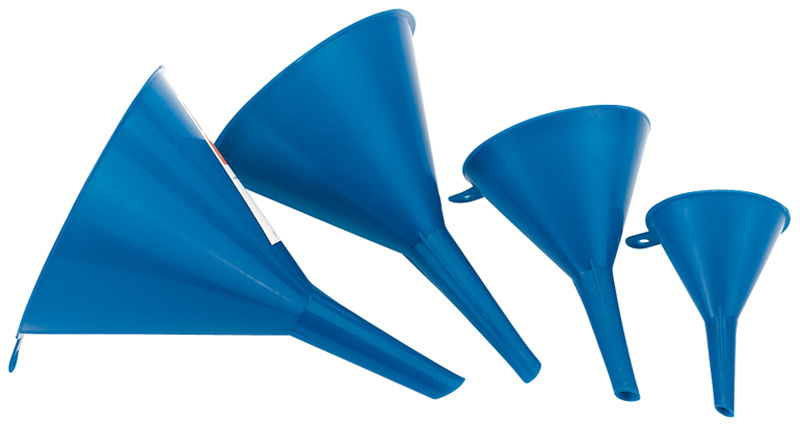 These are mainly in the ‘Strip and shape’ section of online catalogue. http://www.grahamsweet.com/index.php stocks polystyrene balls up to 3metres diameter! 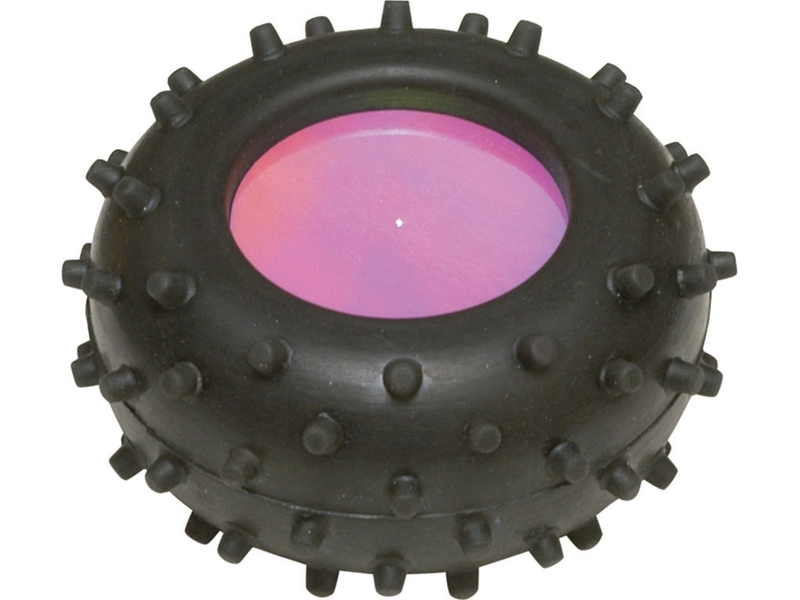 ‘Floral Foam Spheres’ 70,120,200 and 300mm diameter e.g. 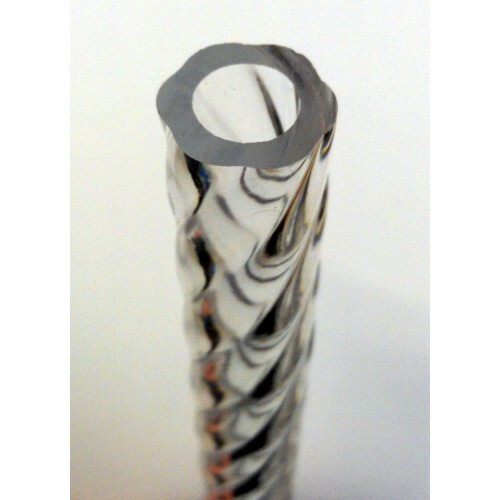 120mm diameter £1.95; 300mm diameter £28.75. Made from green Oasis brand ‘Floral Foam Maxlife’ .. this is not styrofoam, though in some ways similar. 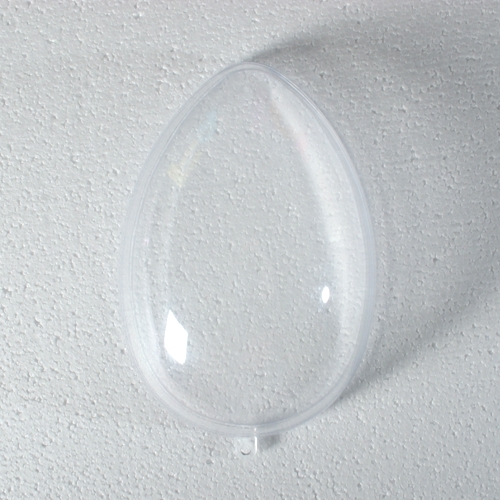 Clear acrylic balls (solid) from 3.2mm to 70mm diameter. Prices e.g. 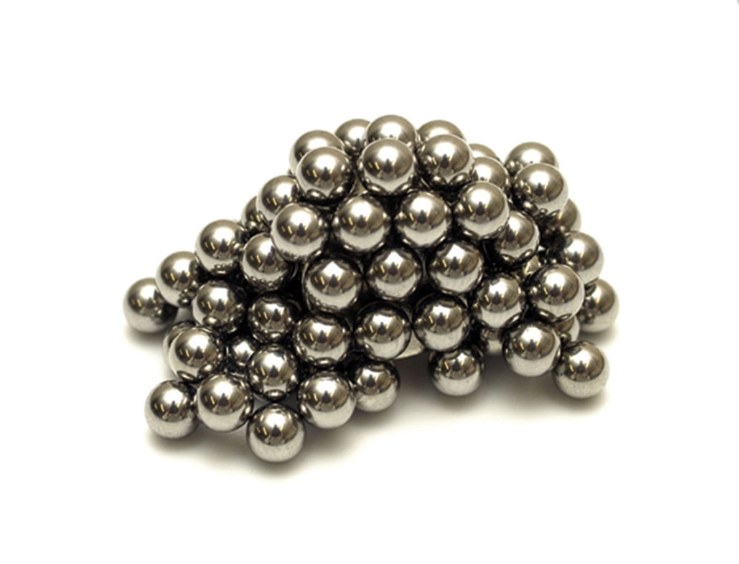 3.2mm pack of 50 £4.98; 8mm £0.26 each; 25mm £1.06 each; 50mm £11.54 each; 95mm £80.62 each. 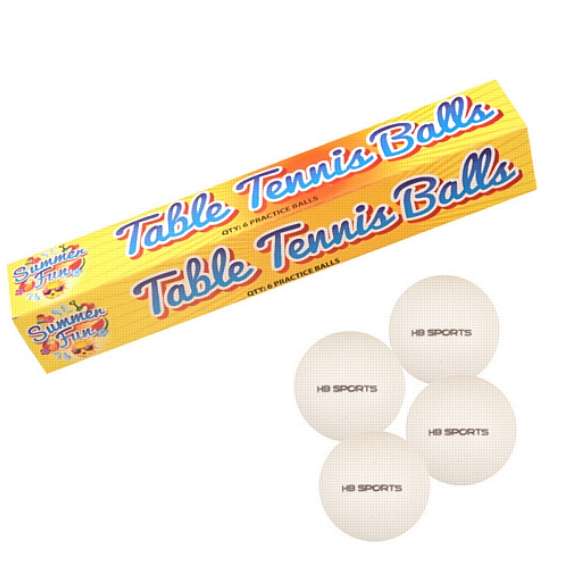 Ping Pong Balls (Pcode T4TTB) £1.08 pack of 6, standard size 40mm. 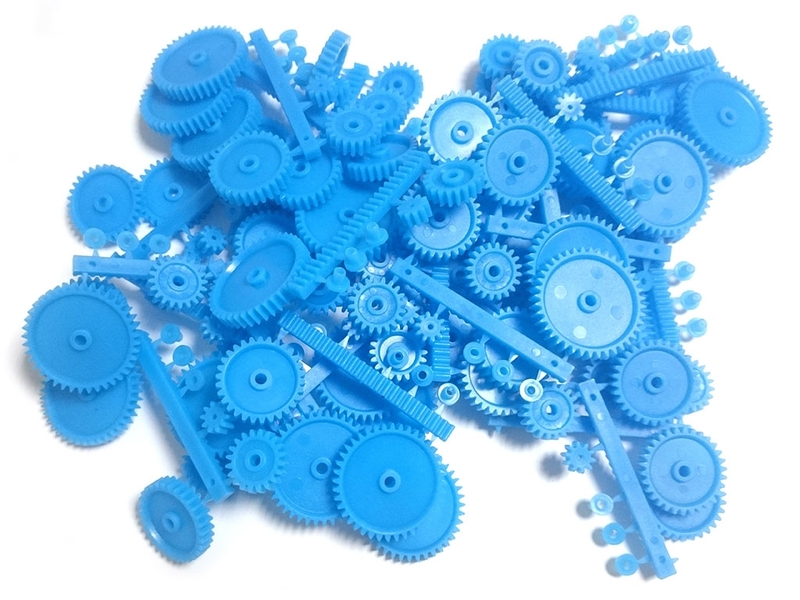 ‘Gears & Rack Pack’ assorted 0.25kg £8.34 Three colours available: red, yellow and blue. 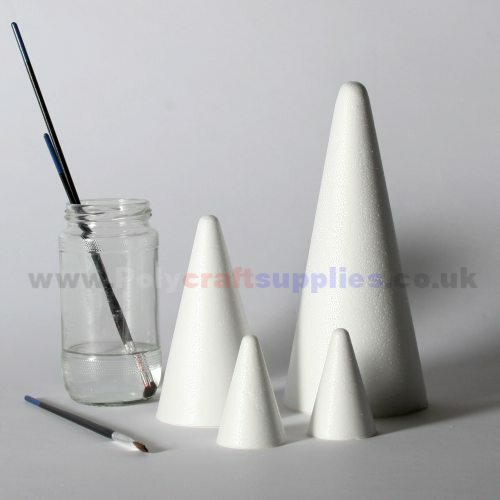 ‘Floral Foam Cone’ three sizes .. 240mm high x 90mm diameter (£2.05); 320mm high x 120mm diameter (£4.00); 600mm high x 190mm diameter (£17.10) .. in Oasis green Floral Foam. Oasis foam is not styrofoam, this is a misconception! 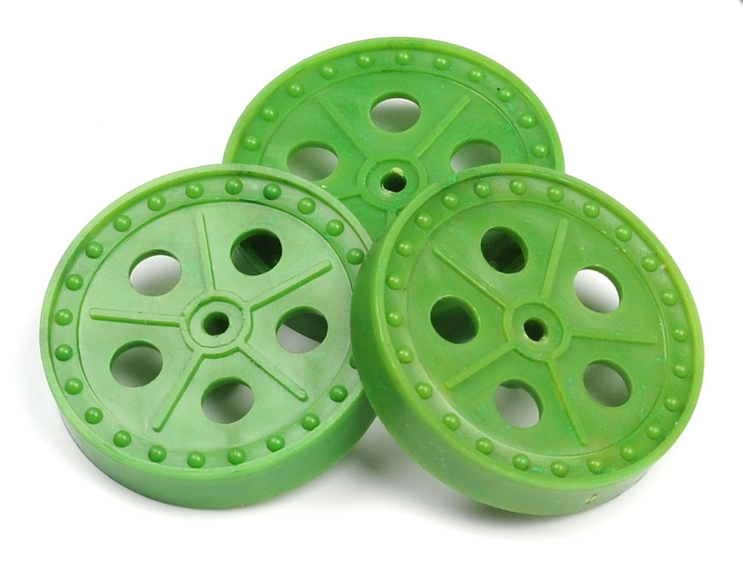 It is a special water-absorbing foam made from phenolic resin. It has similar properties to styrofoam or rigid PU foam but is more obviously porous, and I guess probably a little crumbly. 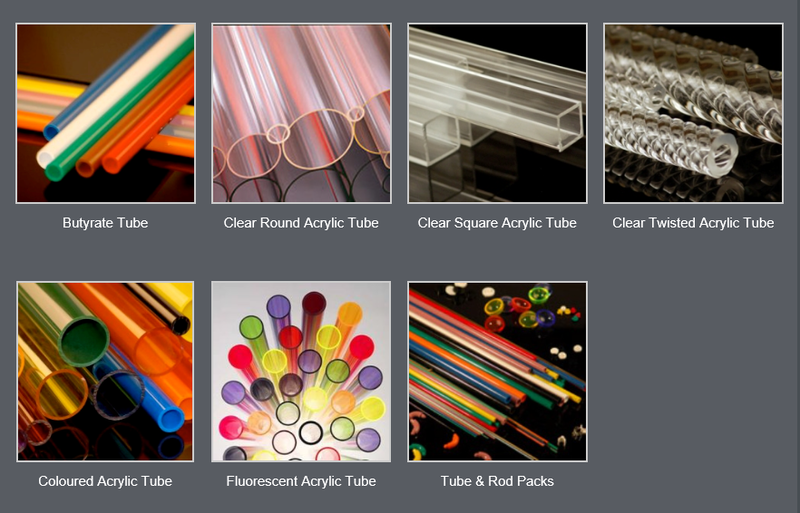 Alternatives are either styrene rod or tube, which starts at 0.75mm (Evergreen brand packets, currently £5.05 4D) or clear acrylic rod or tube which most commonly starts at 2mm but may run (tube only) to 100mm diameter. 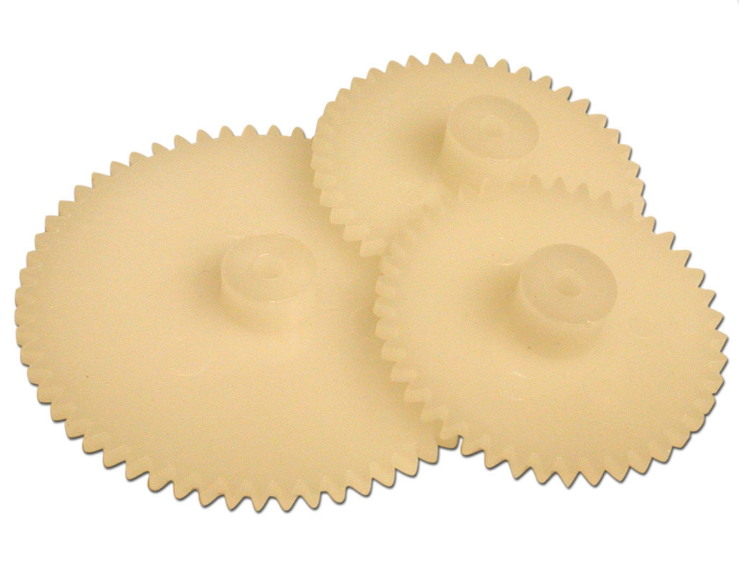 4D modelshop has by far the most extensive selection, especially in the smaller diameters. Styrene is easier to cut, but acrylic is much more rigid. Or it might be worth considering metal rod or tube, available in a variety of thicknesses at model shops such as 4D and in different metals (usually aluminium, steel, brass and copper), ranging from hair-thin, straight steel ‘piano wire’ to solid 25mm diameter brass rod for example. The advantage of metal is that it can be bent into a fixed position (softer aluminium is usually the best option) but also can be soldered (more easily in the case of brass) for a fairly strong construction. It has to be noted though that metal tube cannot be bent without collapsing and usually, if a thick, bent diameter is needed, it is much easier to heat-bend solid plastic such as acrylic. 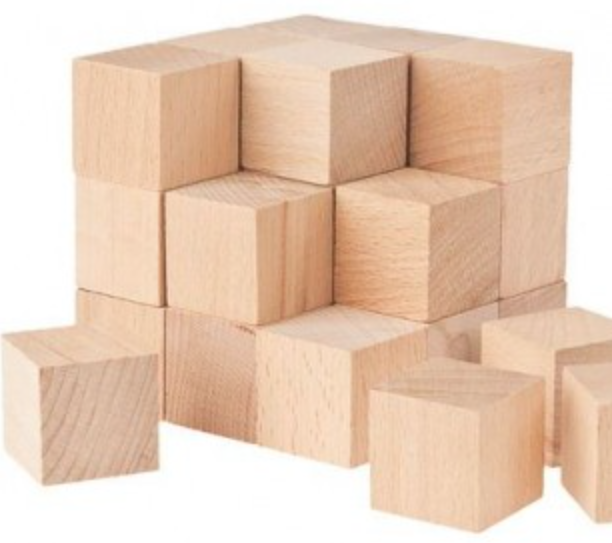 Metal rods thicker than c 2mm are also likely to cost more than wood or plastic equivalents. 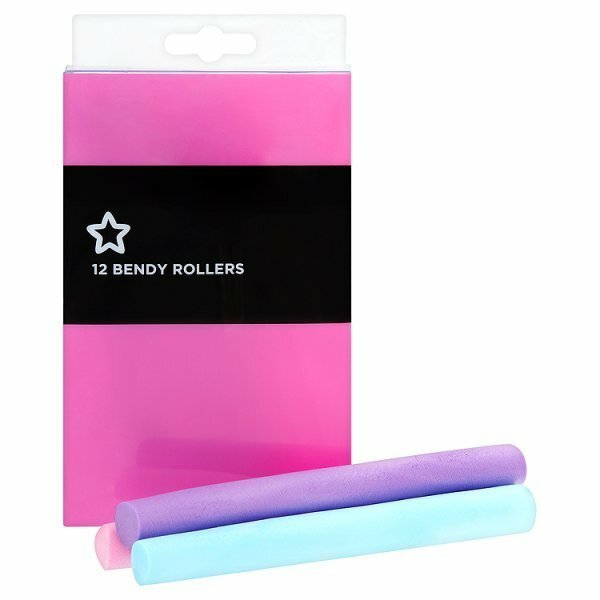 Round acrylic rod (solid, clear) 1metre length. 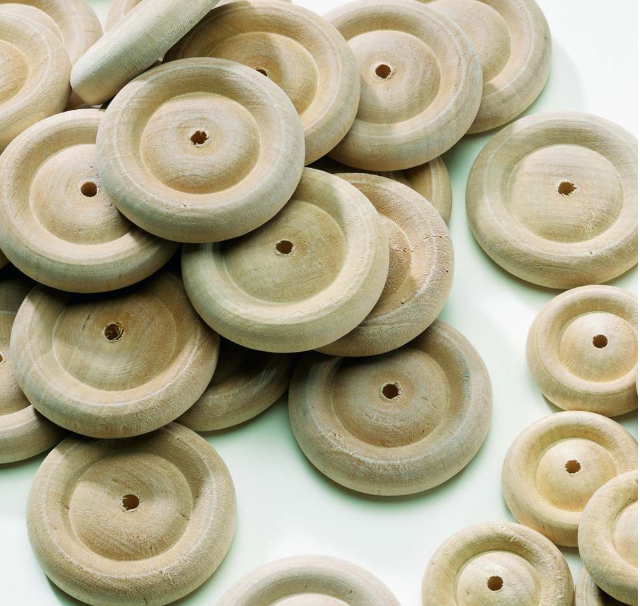 Starts at 3mm diameter (£0.30 each) then many increments up to 50mm diameter (£56.23 each). 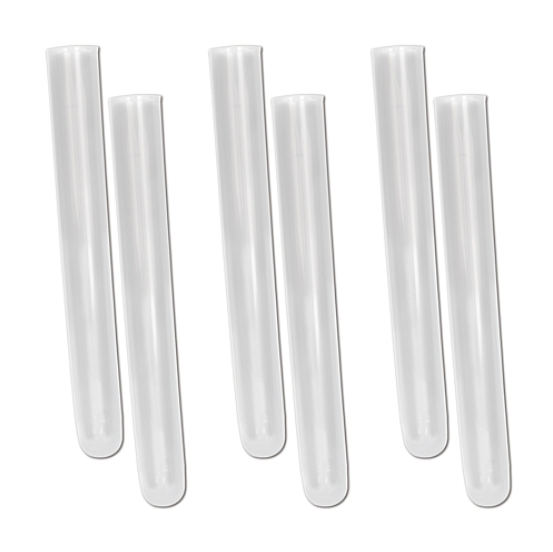 Butyrate (opaque plastic, different colours) tube, 760mm length. 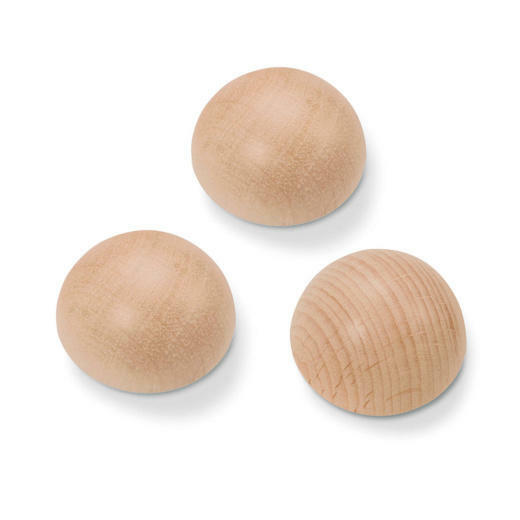 From 2.4mm diameter £0.88 to 12.7mm. Apart from the usual saved cardboard tubes from rolls of baking foil or clingfilm (usually 27-30mm diameter and 350mm long) the other sources are either 4D modelshop or Post Offices/stationers. 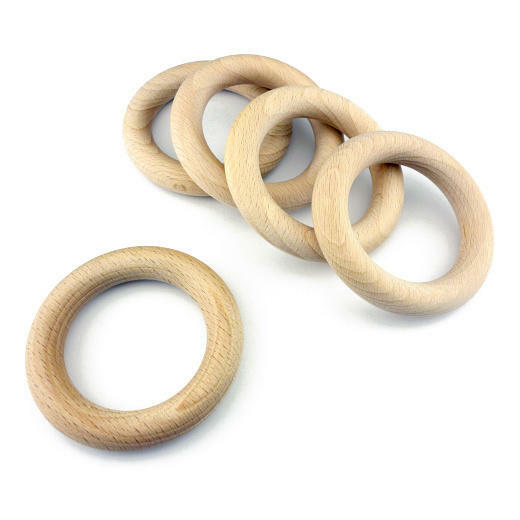 4D stocks 50,60,75 and 90mm diameters. ‘Postal tubes’ are most commonly 38, 50 and 76mm diameters with a range of lengths. Most online sources (such as www.speedypack.co.uk ) only supply them in quantities of 25-50. Plastic water/waste pipes are commonly polypropylene, cross-linked polyethylene, ABS or MuPvc. I have found MuPvc the easiest to work with because although harder, its slight brittleness actually makes it easier to saw and sand, and it also seems to respond much better to heat-bending. For more on working with MuPvc see my post Cutting smooth holes in foam January 17 2016. Common outside diameters for rigid Pvc tubing are: 22mm, 32mm, 40mm and 50mm, averaging at c. £1-3 per metre. There are larger diameters in MuPvc for guttering/ drainage, commonly 100mm and 110. 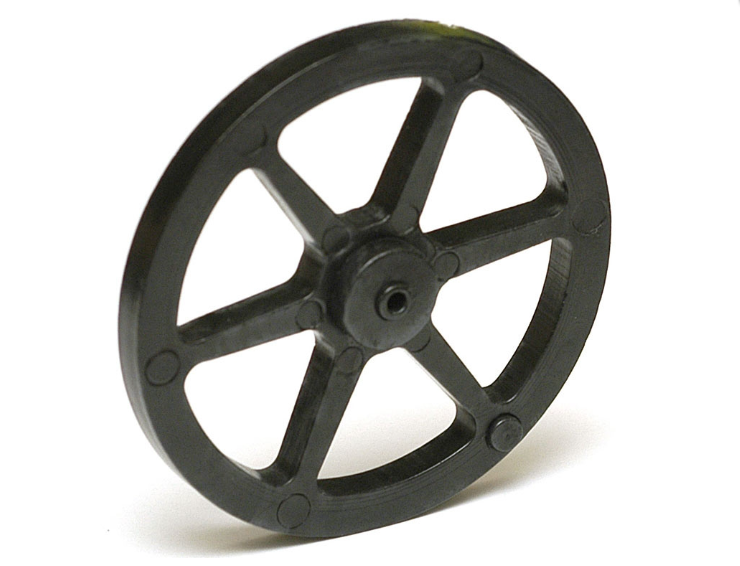 Wickes also stocks ‘John Guest Speedfit Plastic Pipe’ in 10,15,22 and 28mm diameters. This is cross-linked polyethylene (PEX). 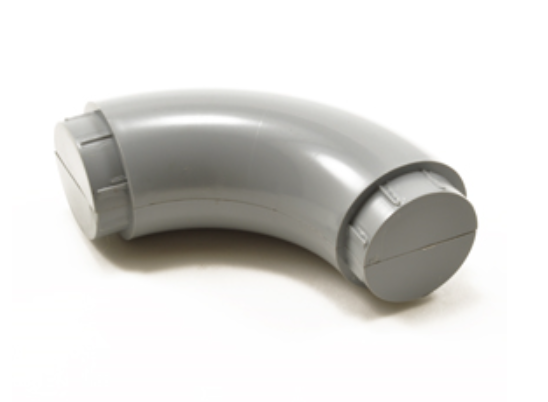 Pvc ‘Floplast Round Gutter Downpipe’ 68mm 2.5metre white, pack of 6 £30 Pcode 5055149930379. Singles not available. 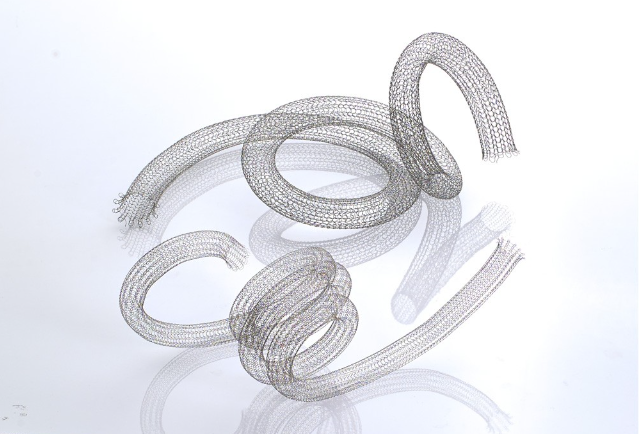 stocks a large selection of clear, flexible plastic tubing in different diameters including ribbed hosing. 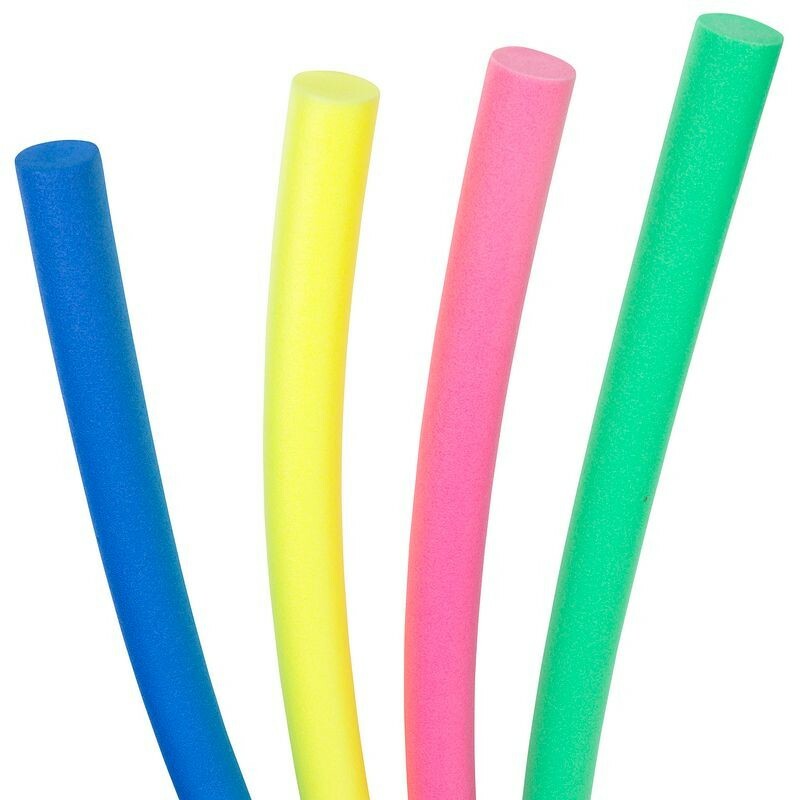 There are also solid rubber and foam tubes (e.g. 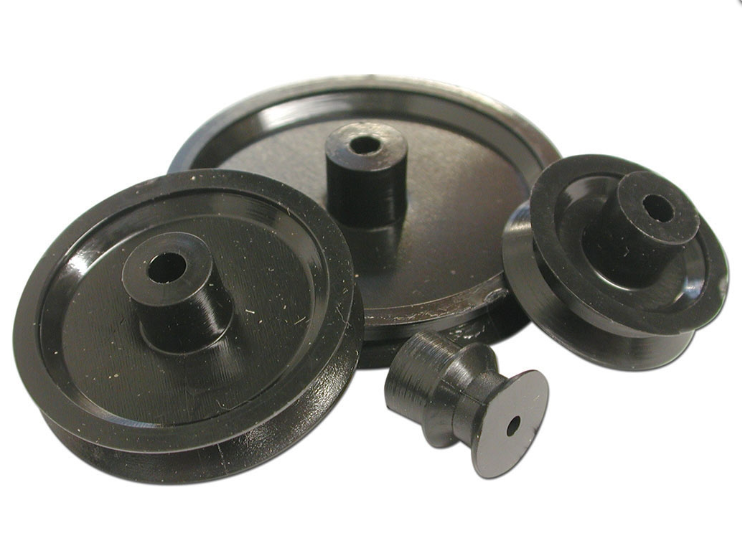 I have 12mm and 24mm diameter in Plastazote, and 19mm diameter foam rubber .. but there are other sizes). Neither prices nor images are on their website .. you have to make a visit. 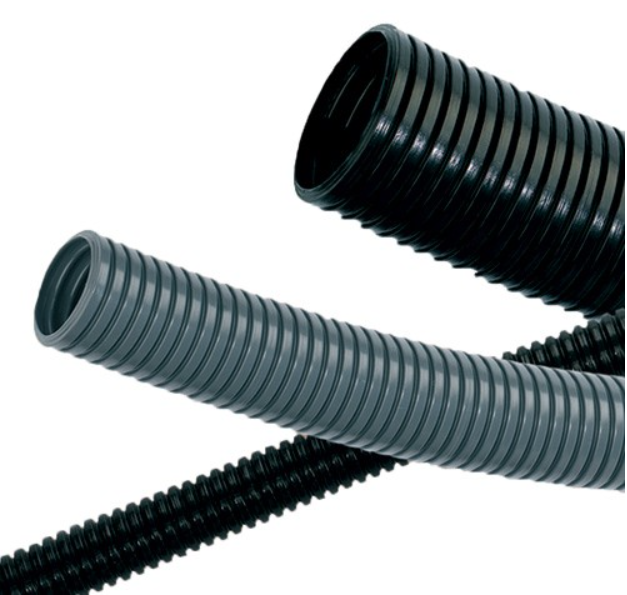 Corrugated tubing, or ‘conduit’ as it’s called, is meant for carrying wires or cables and can usually be found in DIY or electronics stores. This selection from Cablecraft is just to illustrate what’s available, and hopefully one should be able to find it in smaller lengths elsewhere. 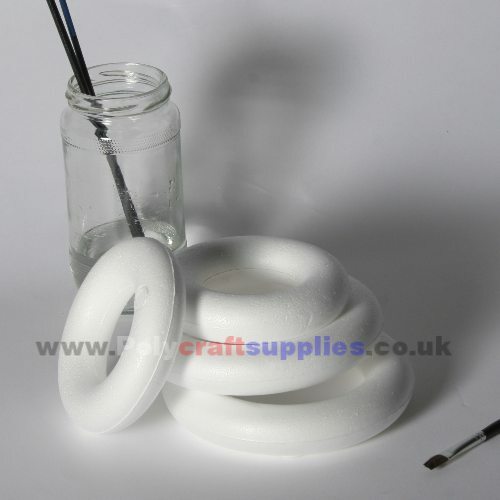 Polystyrene rings, packs of 10. 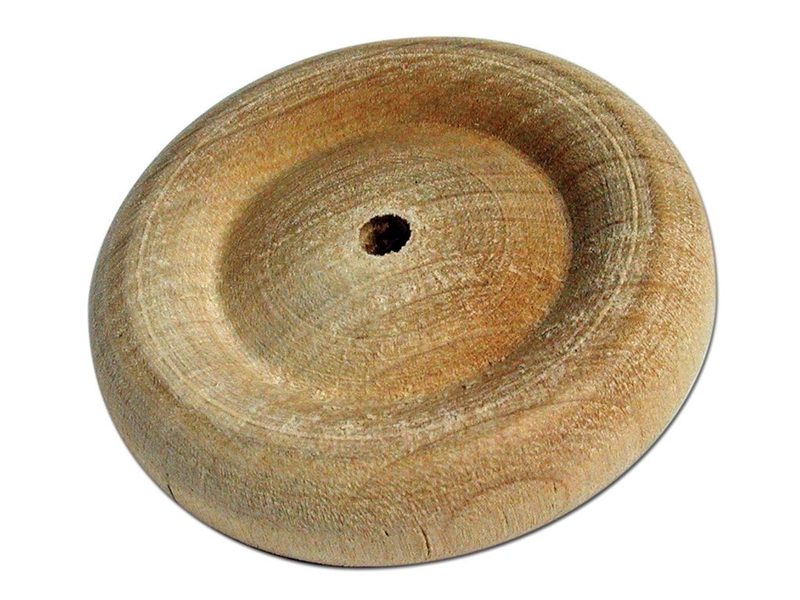 100mm diameter £2.92, 150mm £4.23, 300mm £5.12 (thickness not given). 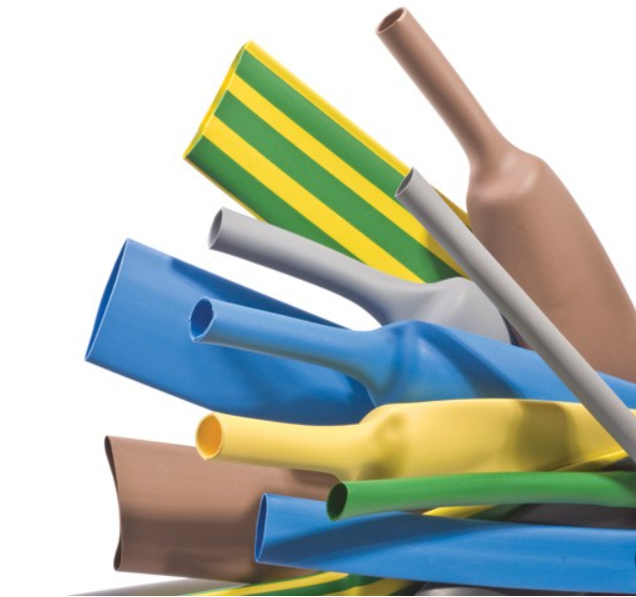 Heatshrink tubing or ‘sleeving’ is made from polyolefin plastic ( i.e. 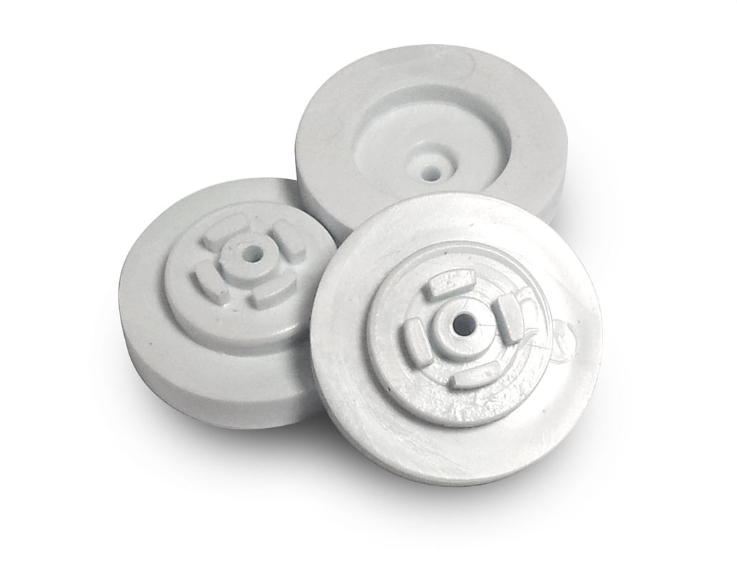 polyethylene, polypropylene ) and commonly used in electronics/electrics for wire insulation or bundling. It shrinks uniformly when heated with a heat gun, usually in the ratio 2:1 meaning it becomes half as small. 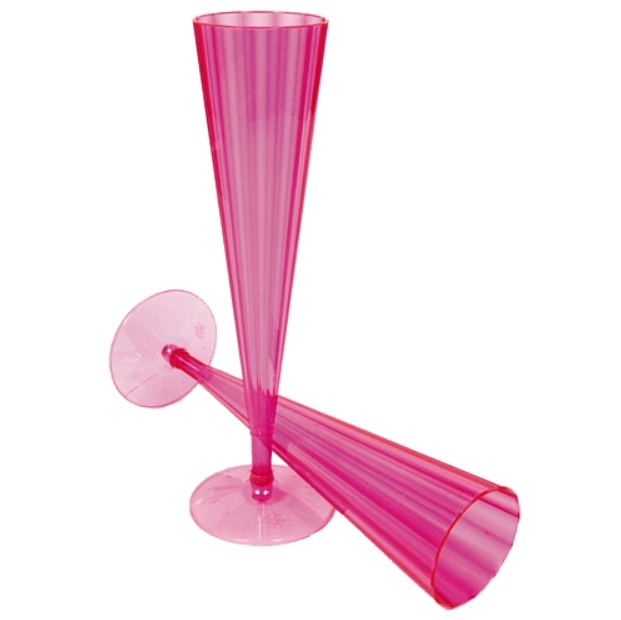 It comes in different diameters and the clear versions are ideal for making small-scale ‘bottles’. Finer heatshrink tubing also makes very good ‘dosers’ for superglue work, to attach around the existing nozzle if more precision is needed (Poundland includes a few already in their packs of superglue bottles). Included in ‘Strip and shape’ section of online catalogue. 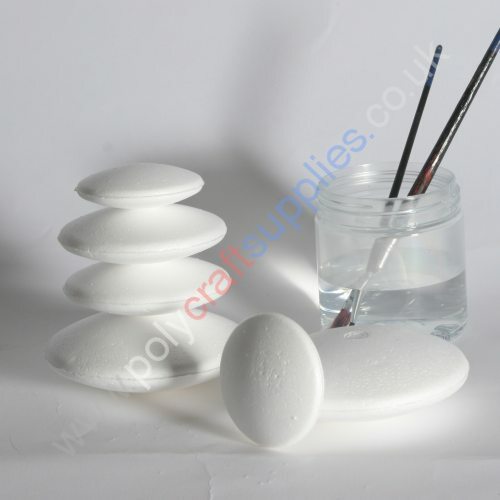 Polystyrene eggs from 45mm length (£0.47), 60,-80,-100,-120 (£2.00). Also available cheaper in packs of 10 or 50.